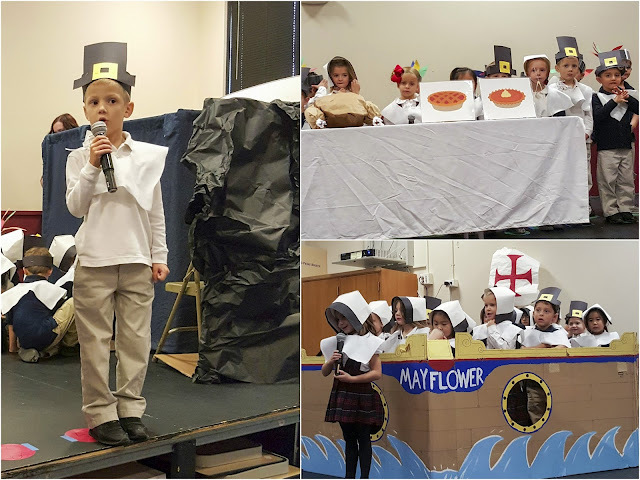 Carson's Kindergarten class celebrated Thanksgiving by putting on a play about Pilgrims and having a traditional feast for the kids and their families. This year I volunteer to be the parent - teacher liaison for his class so I was involved in all of the rehearsals and the feast. It was quite a bit of work but totally worth it. One of the parents brought an actual cooked turkey to the feast. The food was delicious! 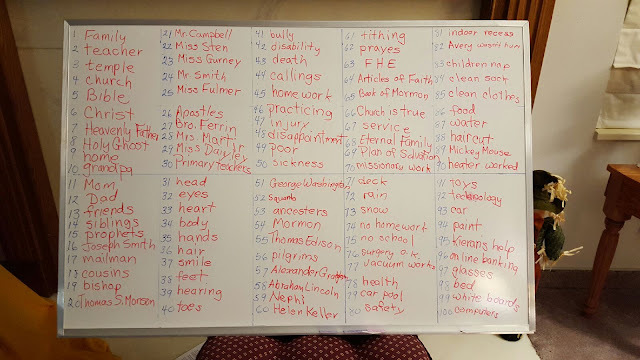 For family home evening Grandma Humphries taught a lesson on gratitude and as a group we all came up with 100 different reasons why we should be grateful. 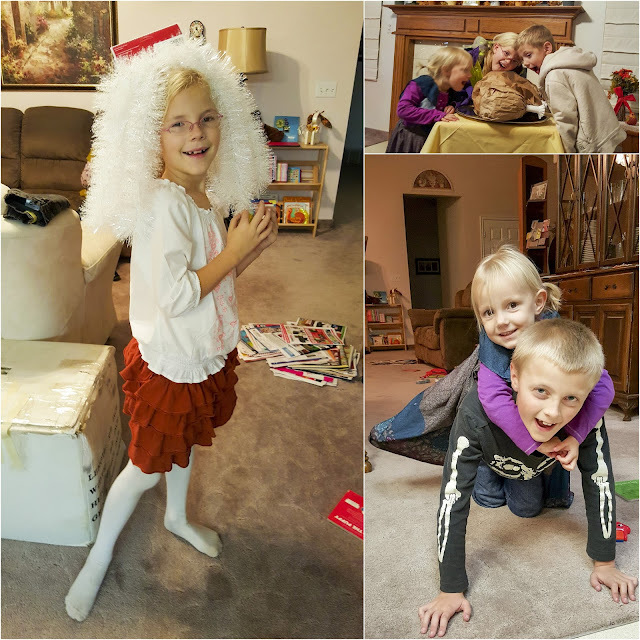 We then stuffed a paper turkey with strips of paper on which we had written down those reasons. On Thanksgiving day we had dinner with the Humphries and afterwards helped grandma and grandpa decorate their Christmas tree.